I always feel like my To Read list is insurmountable. How will I get to them all? This, I think, is the perpetual plight of the librarian/publisher/reviewer/bookseller/reader/teacher. There are just too many books in the world for one person’s lifetime. I used to just read the first book in a lot of series and move on to the next one. But recently I’ve had the urge to complete certain series, read certain authors, catch up on certain new books. 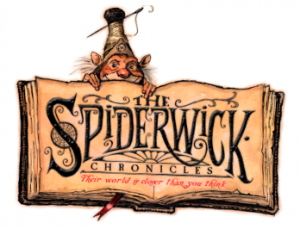 So this week I tackled the rest of The Spiderwick Chronicles, the wildly popular children’s series of fantasy novels. I hadn’t felt a great urge to read past the first one, even though I thought it was excellent. The stack of books on my desk was taller than me at the time. 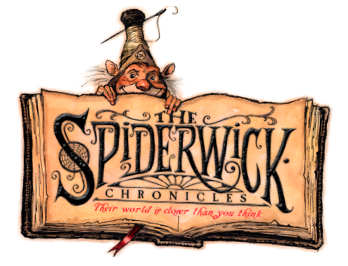 But now I just felt like it was time, especially since we’re throwing a Spiderwick party in August for the kids at the library. These are fantastic books for middle readers, which I felt after reading the first book. They are just rip roaring tales of the Grace siblings-twins Jared and Simon and older sister Mallory. I read 1 and 3 in print and listened to the audio books for 2, 4, and 5 (Mark Hamill’s narration is pretty cool). I’m glad I finished this series. Now if kids want to talk to me about Mulgarath, I can do more than blink at them.